This book is completely revised and updated guidebook (formerly titled The Warrior Athlete, then The Inner Athlete). It reveals how your training in golf, tennis, other sports, dance, martial arts, or music, can accelerate skill learning, increase talent, and enhance the quality of your everyday life. 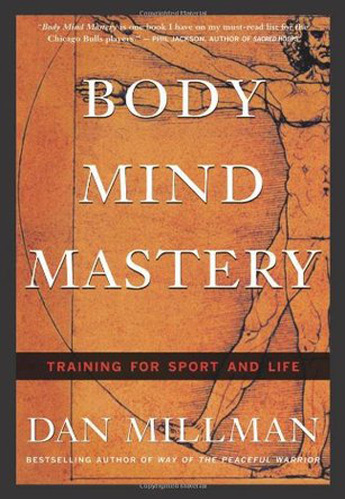 Body Mind Mastery has been called a classic in the field of holistic sports training. A result of my years of training as a world-class athlete, and coaching at Stanford and elsewhere, this book is my gift to golfers, tennis players, dancers, musicians, and martial artists everywhere. Whether one is a beginner or master, this book outlines a new way of training –a way to develop talent while remembering the higher purpose and hidden benefits of training. I’ve received letters from opera teachers, dog and horse trainers, and many musicians to relate how the principles, practices, and perspectives in this book have radically improved their attitudes and skills. Even for top athletes, this book offers reminders about the hidden purpose and potential. Ultimately, it’s not about dedicating your life to your training; it’s about dedicating your training to your life. If you, or someone you know, engages in a sport or game, they will find Body Mind Mastery an encouraging guidebook for putting more into their game, and getting more out of life.